My friend Shannon passed along this recipe to me some years ago, and I still think it's a great way to make an easy homemade breakfast. The best part? Mix up a batch and it lasts for FIVE WEEKS in your fridge (of course mine never stick around that long). So you can make just a couple of muffins a morning if you'd like - having fresh muffins each day! I've also found the recipe to be fairly flexible - I've substituted dried blueberries or apricots many times for the raisins, and I've used oat bran instead of wheat bran before. Just be careful not to eat too many - you know what bran can do to you! To prepare, bake in muffin cups for 20-25 minutes at 400*. Readers, do you have any tips for making a homemade breakfast quickly and easily? Yum - these look great - and I have a container of buttermilk that I bought to make scones which definitely don't fit into my new years hope for a healthier diet. I'm thinking these muffins are a must do this weekend! Those look delish! I eat bran every morning but would much rather have it in a muffin. Hi Lisa, Thanks so much for sharing the recipe. I love that you can make just a few at a time. It's a very healthy recipe, too. These look delicious! Happy and Joyous New Year to you and yours. These are great! My mom used to make them too. These sounds amazing! I love brown sugar! JDaniel's favorite breakfast is cheese in a soft taco. These look really good, and I bet the molasses and brown sugar give them a great flavor. My breakfast is usually a quick yogurt or cheese--protein. Lasts five weeks in the fridge?! Wow! Sounds awesome. Mmm! They look good! I'm saving this recipe! 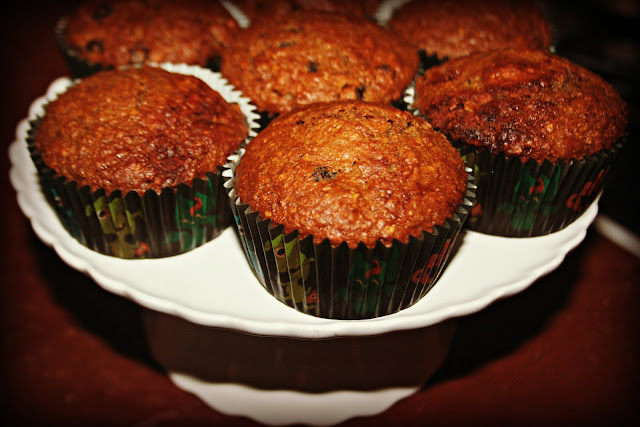 Bran muffins are the best. This recipe sounds really good! Happy New Year, Lisa!! I'll be trying this recipe-I love muffins! I'll also be sending a convo soon-I've gotten so behind this week! Those look really good Lisa. Yum. Anything that lasts this long is O.K. by me! You give us the neatest info! This looks wonderful. I don't do breakfast, but they look like a good snack! I should make these for my grand children this weekend. I like that they are very healthy. A good way to get some bran, one which actually looks appetizing! Those look fab. Will have to try the recipe. Thanks! I like that it stays in the frig. for so long and they sound very delicious. Thank you. Thanks for the recipe; I have been looking for that one for ages!